Gelato! Jenny makes all the gelato (ice-cream) by hand. There are always a multitude of delicious flavours to choose from. Perhaps you like plain vanilla or bananary banoffee or maybe something different like the chocolate, coconut, chilli and lime flavour which is surprisingly popular. 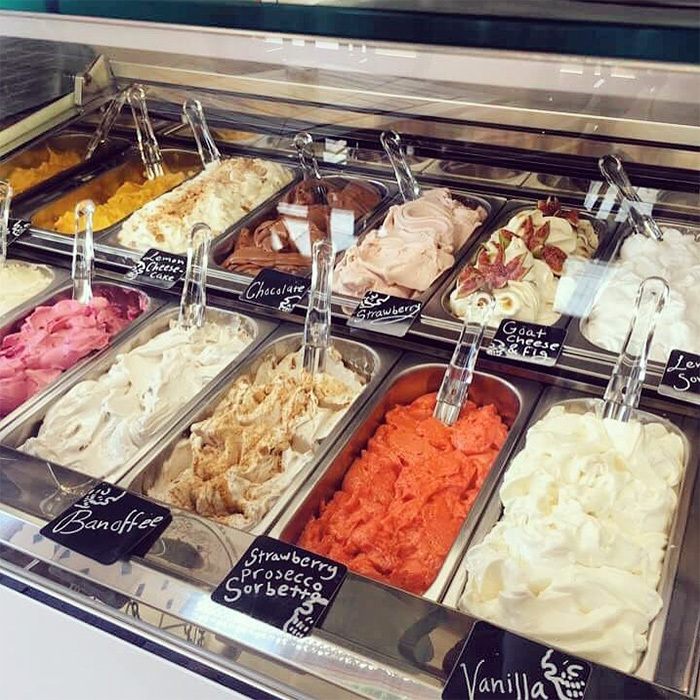 The gelato is made fresh using only the very best quality of ingredients. There are always new flavours in the tubs so you can choose a delight anytime. Gelato! Helado! Crème glacée! Ice cream! 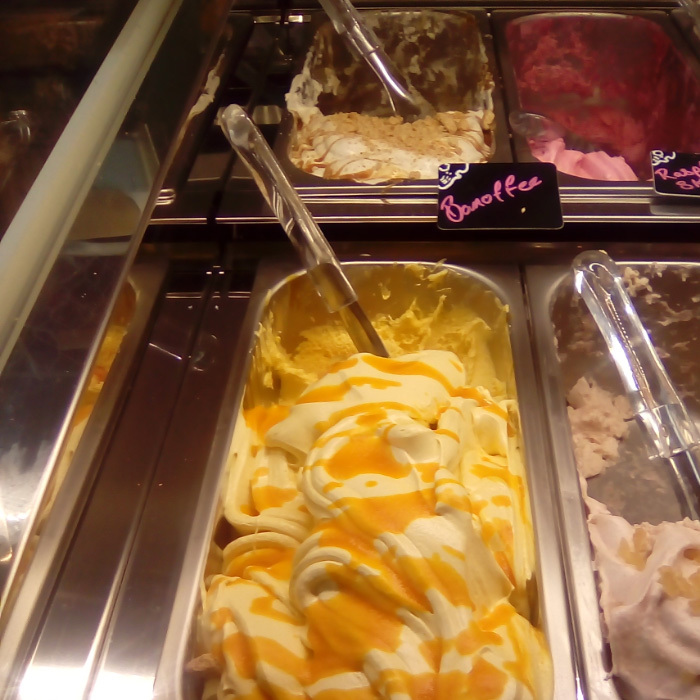 Delicious, freshly made gelato. Choose from some amazing falvours. There’s always one of your favourites! Silky smooth with delicate flavour, and icy cold. Just what you need as a treat, even if the sun is hiding! These are some of our fabulous flavours. They’re always changing so call in to see what’s new in the cabinet.